There’s nothing. 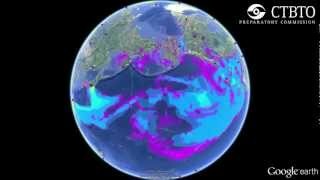 When was the last time you read or heard or saw, regarding mainstream media, any information about Fukushima? The media have been basically silent. I mean Joseph Goebbels , the Nazi propaganda minister, would smile in his grave to see how the nuclear establishment has handled, quite successfully, the Fukushima disaster. 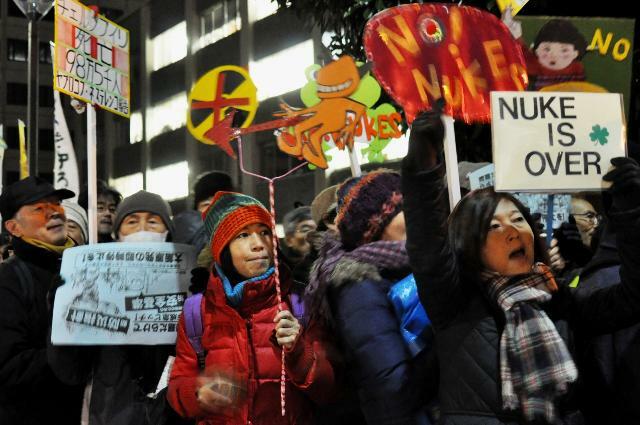 Japan "has been affected by a lack of transparency and almost zero respect for access to information on subjects directly or indirectly related to Fukushima," the group said in a statement, referring to the crisis at Tokyo Electric Power Co.'s crippled Fukushima No. 1 nuclear power plant. "This sharp fall should sound an alarm," it added. Japan (53rd, -31) plummeted because of censorship of nuclear industry coverage and its failure to reform the “kisha club” system. This is an alarming fall for a country that usually has a good ranking. PARIS (Jiji Press)--Japan plummeted to 53rd from 22nd last year in the 2013 press freedom ranking released by Reporters Without Borders, a Paris-based nonprofit organization, on Wednesday. Mali logged the sharpest fall this year, to 99th from 25th, following a military coup in 2012 and the capture of the country's north by Islamist militants, leading to French intervention. Myanmar rose from 169th to 151st, reflecting progress in its democratization, and Afghanistan climbed from 150th to 128th. Chancellor Angela Merkel of Germany waded into the currency debate Thursday, singling out Japan as a source of concern following the Bank of Japan’s moves. At 7 a.m. [on March 15], a situation arose which the U.S. military is still keeping quiet about. ―― yes, a steam explosion for containment, that’s correct, and what we thought — well, one of the reasons that we don’t believe it was a hydrogen explosion in the turbine building was we found no indication of flames and similarly, there is no indication, if you look at the later images after the explosion, there is no indication of any kind of sustained fire, smoke, anything of that sort. たとえば、"Davos: either too hot (indoor) or too cold (outside). Like love". And, in Asia, Prime Minister Shinzo Abe’s new Japanese government has already depressed the value of the yen and buoyed export prospects by placing reflation through monetary easing at the center of its agenda, while the most recent statistics out of China suggest significantly faster export growth than was anticipated. "Over time, you get zombie banking, zombie corporates, zombie households, which is damaging in the long term," he said. The phrase "zombie banks" was coined in Japan, to describe insolvent lenders propped up by cheap cash. [Tepco] said Thursday it plans to dump contaminated water into the Pacific Ocean after removing radioactive substances to reduce contamination to legally permissible levels. The decommissioning project will require the fuel in question to be carefully and slowly removed using special equipment in an effort to avoid a leak of nuclear fuel while also preventing the fuel from triggering a nuclear reaction. Taking control of the BOJ was the easy part. Tackling the structural deficiencies of the Japanese economy will be more difficult. ……This time, he is armed with a new anti-inflammatory drug that he says will keep his health problem in check. What his other wonder drug, inflation, will do for the Japanese economy is another question altogether. I should like to ask you: is this a China you want to show to the world? Is this a China that your children will be proud of? we intend to respond calmly so as not to provoke China. ・I reiterated longstanding American policy on the Senkaku Islands and our treaty obligations. As I’ve said many times before, although the United States does not take a position on the ultimate sovereignty of the islands, we acknowledge they are under the administration of Japan and we oppose any unilateral actions that would seek to undermine Japanese administration and we urge all parties to take steps to prevent incidents and manage disagreements through peaceful means. ・And I reiterated, as I have to our Chinese friends, that we want to see China and Japan resolve this matter peacefully through dialogue, and we applaud the early steps taken by Prime Minister Abe’s government to reach out and begin discussions. We want to see the new leaders, both in Japan and in China, get off to a good start with each other in the interest of the security of the entire region. “What is really driving things is raw nationalism and fragmented political systems, both on the Japanese and even more so the Chinese sides, that is preventing smart people from making rational decisions,” said Thomas Berger, an associate professor of international relations at Boston University. Last week, the Chinese government sent a civilian surveillance plane, a twin propeller aircraft, to fly near the uninhabited islands at the heart of a growing feud between China and Japan. Tokyo, in response, ordered F-15 fighter jets to take a look at what it considered Chinese meddling. The Chinese then sent their own fighters. We're using clean water to control the plume. ◎　論文　Radioactive Nuclides in the Incinerator Ashes of Municipal Solid Wastes before and after the Accident at the Fukushima Nuclear Power Plant. ……The US's Global Hawk is piloted remotely by a crew of three and can fly continuously for up to 30 hours at a maximum height of about 60,000 ft. It has no attack capability. The US deployed the advanced reconnaissance drone to monitor damage to the Fukushima nuclear power plant in the aftermath of the March 2011 earthquake and tsunami on Japan's north-east coast. 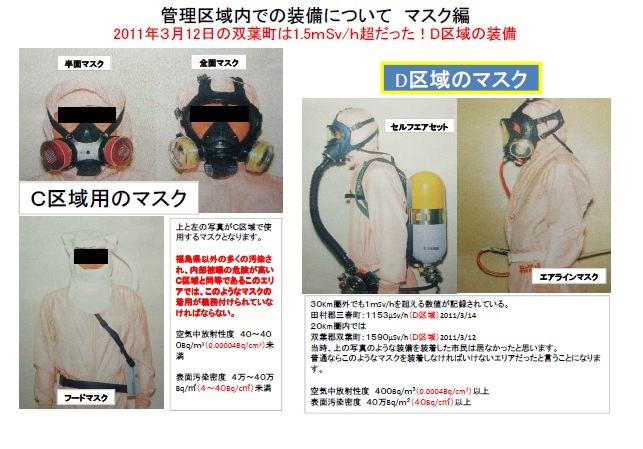 ……I want to have all the nuclear industrial people go to work in Fukushima by wearing the protective clothing for the rest of the lives. Nuclear is safe right ? The Nuclear Regulatory Commission is moving forward with plans to outfit security guards protecting spent fuel storage sites at power plants with machine guns and other high-capacity weapons. 〔被曝国の首都で、二度目の五輪？〕ＡＰがロンドン・猪瀬知事会見を速報　／　「フクイチ被曝汚染」「尖閣をめぐる中国との軍事的緊張」も問われる　答えは　⇒　「東京の線量値はノーマル。フクシマから２２０キロも離れている。東京の線量はロンドンと同じだ」／「日中両国が平和解決の道を見出すことを希望する」（◇　石原前知事がマッチで火をつけ、副知事だった猪瀬氏が知事になってポンプで火消しに回る悲喜劇！）／　ＡＰが五輪整備予算を比較　イスタンブール＝１９２億ドル　東京４５億ドル／◇　東京の予算には除染費は含まれている? ＃　"The radiation numbers in Tokyo are normal," he said. "They may be high in Fukushima, but Tokyo is 220 kilometers (135 miles) away. 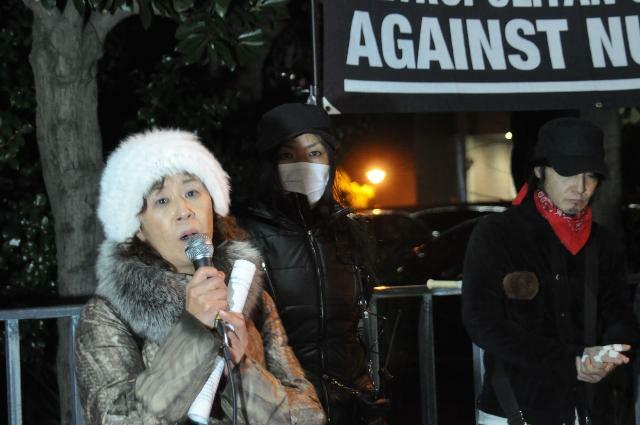 The radiation levels in Tokyo are the same as here in London." ＃　The governor also downplayed the simmering territorial dispute with China over control of islands in the East China Sea. Tensions intensified after Tokyo bought the islands from their Japanese private owners in September, prompting Chinese to hold demonstrations and boycott Japanese products. "Territorial questions happen all the time in the whole world," Inose said. "I'm sure both countries will be able to find a peaceful way to resolve it." ＃　While London spent nearly $16 billion in public funds on building venues for the Olympics, Tokyo has a $4.5 billion "reserve fund" for infrastructure projects for the games. That compares with $19.2 billion for Istanbul and $1.9 billion for Madrid. George Washington left Yokosuka, Japan March 21 as a precautionary measure to ensure sustained readiness in support of Japan. "As conditions at the Fukushima Dai-ichi plant deteriorated, it was crucial that we brought the skilled workers along with us to sea," said Capt. Kenneth Reynard, executive officer aboard George Washington. The Navy announced on March 19 that dependents living on the Japanese island of Honshu have been authorized to depart and will be eligible to receive entitlements and allowances as required by their circumstances. Such revisionism is an embarrassment to a country that should be focused on improving its long-stagnant economy, not whitewashing the past. Any attempt to deny the crimes and dilute the apologies will outrage South Korea, as well as China and the Philippines, which suffered under Japan’s brutal wartime rule. 〔フクシマ被曝受難！‘トンデモ除染’で死の灰汚染隠し〕 作業員は暴露した！「モニタリングサイトの周りだけ除去しろ、と言われた」／　“We were told to clean up only those areas around a measurement site,” one worker said. The CMRT, consisting of 33 scientists and engineers, arrived at Yokota Air Base on March 16 from Nellis Air Force Base in Las Vegas and initiated test flights within 12 hours of arriving, according to an NNSA senior official. The CMRT conducted the first round of AMS operations from March 17 to 19, using two U.S. military aircraft.